This colourful happy birthday card is from our fresh, new Dotty Days range. 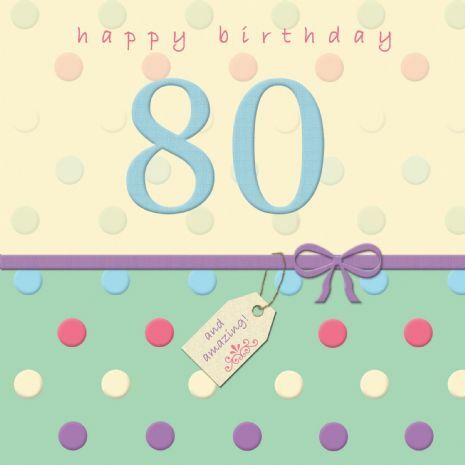 This card is the perfect way to send best wishes to a special 80 year old. We love the stylish Swarovski crystal which adds extra sparkle! The card is euro size and comes individually polywrapped with envelope.